Baby clinics across Lancashire will return to normal later this month - once staff have “adapted” to the revamped systems being put in place by the new operator of the services. Virgin Care took over responsibility for Lancashire County Council’s healthy child programme earlier this week. The company is now supplying health visitors and school nurses across the county after being awarded the £104m contract last year. Four hundred staff who were employed by the NHS organisations which previously provided the service have now transferred to Richard Branson’s company. But the timing and frequency of health visitor clinics has been subject to change this week - and the revised schedule will continue until mid-April. Virgin Care said that they had given parents advance notice of the changes and that normal service would resume from 14th April. “Virgin Care and Lancashire County Council have been working with the previous providers since December to handover the service, but like any change, it is expected that colleagues will need some time to adapt in the first few weeks,” a Virgin Care spokesperson said. The company is supplying staff with new phones and laptops as part of a push to limit the time they have to spend in offices. The new service will be co-ordinated from three main bases - in Preston, Lancaster and Burnley - with 20 smaller sites delivering clinics and other services across the county. Separate changes to Lancashire County Council’s children and family wellbeing service mean that some health visitor clinics - like the one operating from the Cherry Tree Children’s Centre in Preston - will be relocated when the buildings where they are currently based close. The majority of services provided by health visitors are delivered in a home setting. Virgin Care claims public health services will be “transformed” during the first three years of their five-year contract and that any profit made will be reinvested - fulfilling a commitment made by Branson regarding all of the company’s health contracts last year. “While the service for families across Lancashire will continue to run throughout the next few weeks, this is of course a big change for colleagues who have joined the new service and naturally there will be teething problems,” Dawn Matthews-Smith, joint managing director for the Lancashire Healthy Young Person and Family Service, said. The final stage of the contract procurement process had to be re-run last summer after a legal challenge by the previous providers of the service, Lancashire Care NHS Foundation Trust and Blackpool Teaching Hospitals NHS Foundation Trust, which had both bid to retain the work. A judge ruled that Lancashire County Council’s marking process for the two bids had been so unclear that it was impossible to say whether a “manifest error” had been made. 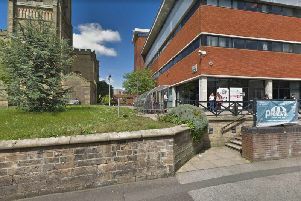 County Hall later paid the £200,000 of the NHS trusts’ legal costs in the case, but after re-running the moderation element of the bid, it once again awarded the contract to Virgin Care. Chorley Health Centre - Tuesday 9th April, 1.30pm – 2.30pm.